Despite having recently implemented democratic institutions, poverty remains dominant in Comoros. This can be due to the influence of certain of this archipelago’s ruinous traditions or overly rapid population growth. However, as long as peace and political stability remain, there is still hope for the inhabitants of these islands to enjoy a lasting development. The archipelago (group of islands) of Comoros is formed mainly by four volcanic islands: Grande Comore, Anjouan, Mohéli and Mayotte. The situations on these islands differ greatly. In fact Mayotte, which is an overseas French department, has a higher standard of living than the other islands, while Anjouan is the most impoverished. On the whole, the gross national income per capita is 770 dollars a year. In Comoros, especially in Anjouan, a couple can have up to 8 children on average. Because of this, impoverished families place their children with wealthy families to serve as domestics. These children will be exploited and treated as adults, and for the most part will never see their real families again. What’s more, these children don’t receive a salary; they only have the right to a meal and old clothing from the host family’s children. For host families, having a child placed with them has become a fashion and is synonymous with wealth. 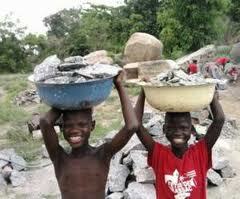 Children of farmers who aren’t placed often help their parents by working in the fields from as early as 5 years old. The education rate is weak in the archipelago. In fact, only 60% of boys and 50% of girls are educated. 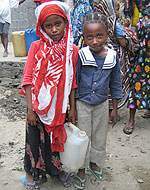 The reason is that lack of infrastructure and poverty hinders parents from educating their children, most of all in Grande Comoros and in Anjouan. Because of this, until the 2006 elections, Comoran children could only go to Koranic schools because they were free. Also note that girls are less educated than boys, above all in secondary education because they have to stay at home to learn how to be good spouses. Thankfully, since the institution of democracy, Comoran authorities have made education free and compulsory for everyone in order to help strengthen the education system. In Comoros, corporal punishment is allowed in school, at home, and in the judicial system. Also, according to investigations conducted by UNICEF in 2002, many young girls are raped by their teachers in Koranic schools. But they don’t dare testify from fear and shame. In Mohelo, for example, out of 140 victims interviewed aged 14 to 16, more than half were victims of sexual aggression and 6% of victims younger than 13 had been raped. 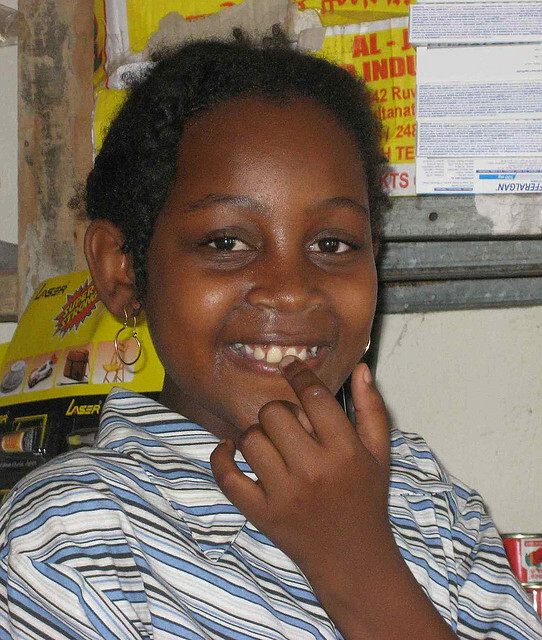 The Comoran children, especially girls, are subject to the will of the family. They must respect the decisions that adults make for them and don’t have the right to say what they think. They don’t have the right to express their opinion. For example, a girl will be isolated starting from puberty in order to prepare herself for the Great Marriage. She won’t be able to go out any more to play with other children. The health sector has experienced a slight improvement, however, care remains mediocre. This is due to the scarcity of medicines and the dilapidated sanitation sector. Moreover, as clean drinking water isn’t accessible to everyone, many children suffer from water related illnesses such as diarrhea. Additionally, more than 42% of children age 5 or younger suffer from chronic malnutrition, 25% of these children are underweight, and more than 1 in 5 children suffer from severe malnutrition. Even if their ground is fertile, the diet of Comorans is very poor. They eat mainly starches and little meat. This is why children lack protein in their diets. Also, due to ignorance, few women breastfeed their babies. They feed them solid foods such as cassava or bananas, which causes the baby to suffer from indigestion. Some decisions such as that to place a child with a host family without even asking the child’s opinion are not made in exclusive and immediate interest of the child. Their right to protection is not respected. Many men, pregnant women, and children try to flee poverty in Grande Comore, Moheli, and Anjouan, by taking refuge in Mayotte. Many of them die en route and the surviving adults, who are in an irregular situation, abandon their children to hide in the forests. Because they are minors, they can’t be pursued until after 18 years of age. They live in shantytowns or on the streets, left to fend for themselves, while waiting for their situation to work itself out. They number between 3000 and 6000 and are called “forgotten children” or “isolated children”.